ST. JULIAN'S - Highly finished, brand new Apartment measuring in total 167sq mts (133sq mt internal, 34 external). Still on plan to be finished by end 2018 and set in a tranquil location, close to all amenities and minutes away from the St Julian's seafront. Situated on the 3rd level, layout comprises of a spacious and bright open plan kitchen / living /dining area leading on to a size-able terrace, three bedrooms, bathroom, main with en-suite and a large back balconies. Property will be finished to high specifications complete with ceramic tiles, gypsum finish, double glazed apertures, electrical and water fitted, excluding bathrooms / en-suite and internal doors. Optional interconnecting garages or car park spaces available. 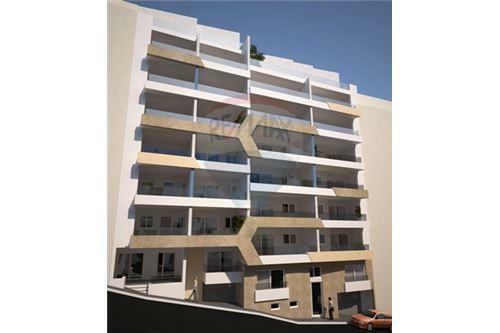 This unique development is highly recommended for first time buyers or rental investment. Press the Property Code 2247 to reach an expert. All the information on this property is deemed reliable but is not guaranteed and should be independently verified. Property vendors retain the right to adjust prices and availability without prior notice and thus the owners of this website may not be held liable for any changes or inaccuracies related to the properties for sale.